In summer of 2013, I deployed to Afghanistan and worked for an Engineer Battalion as their Army Physician Assistant (PA). One fateful day in June, there was an “insider attack” at our base where one of our Afghan counterparts attacked U.S. forces. Six Americans were shot that day as they walked out of a dining facility. One of the casualties they rolled into the Forward Surgical Team (FST) where my soldiers and I worked had long dark hair. Initially I thought it was a Special Forces soldier or civilian contractor who grew his hair out beyond regulations. When the stretcher approached the hallway, I realized it was a female soldier. The flight surgeon informed the Brigade Surgeon she was deceased. The Brigade Surgeon looked at me and directed me to check her for signs of life. I remember feeling her carotid artery but finding no pulse. In that moment, I had no idea how this female soldier was going to change the direction of my life. As the days and weeks went on, I could not stop thinking about the woman whose death I confirmed. 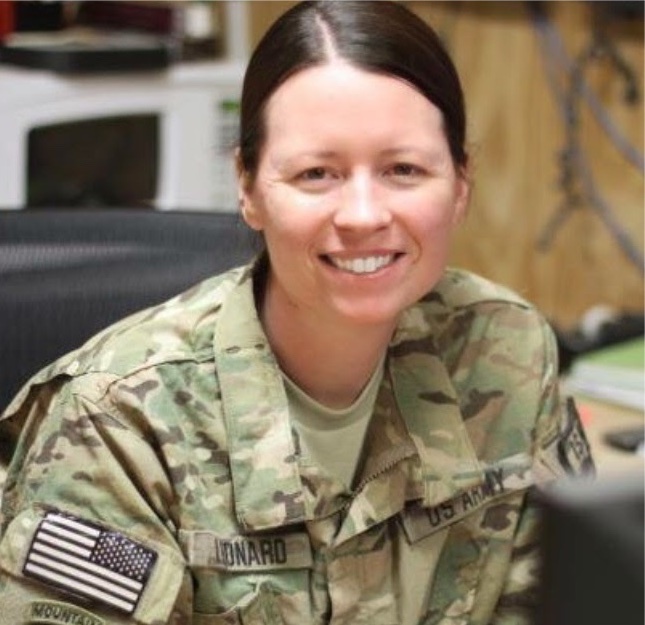 Her name was Lieutenant Colonel (LTC) Jaimie Leonard, and she died June 8th, 2013. While still in Afghanistan, I spent quiet moments Googling her name until her obituary came up. I eventually learned she was a 1997 West Point graduate who spent over 16 years as Military Intelligence Officer and that she was buried at West Point. At the time she was killed, I still had four more months left in Afghanistan. I kept replaying images in my mind, particularly of LTC Leonard lying on the gurney with her long hair. Insomnia and anxiety became real issues for me. I realized I might not be the type of health care provider who can compartmentalize traumatic events. During those final months of my deployment, I turned to yoga and meditation to calm my nervous system and find a sense of peace in a not-so-peaceful place. I downloaded meditation practices and yoga classes and did them on my own. This is what carried me through the rest of the deployment until I was safely home with my husband and two young children. Because of my experiences in Afghanistan, my approach to military medicine and to my career as an Army PA shifted. After that deployment, my focus turned more towards preventive medicine and bringing mind-body therapies into military communities. Upon my return to the states, I had the opportunity to go back to school for my doctorate in Public Health. During this time I also earned my 200-hour Yoga Teacher Certification and attended Warriors at Ease training. I was able to incorporate the skills and knowledge I learned in these yoga teacher trainings throughout my research and dissertation which focused on how yoga can reduce symptoms associated with Post Traumatic Stress Disorder (PTSD) in Post-9/11 veterans. 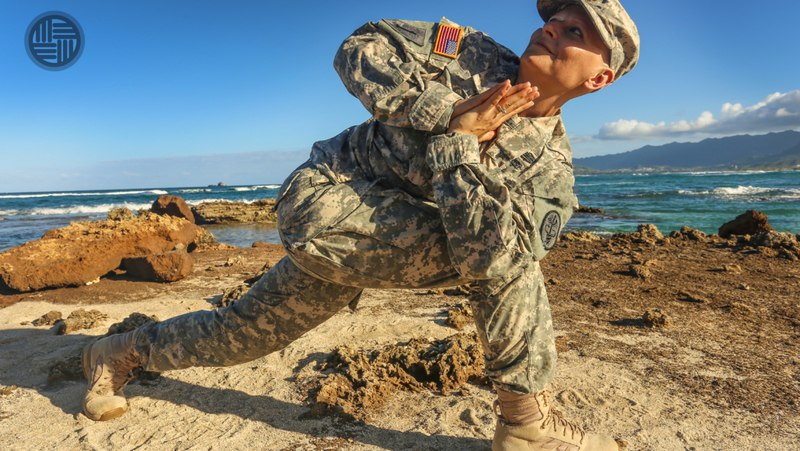 With the specialized skills I’ve gained through Warriors at Ease yoga teacher training, I have supported the health and healing of my fellow active duty service members, veterans, and military spouses, including those with PTSD and Traumatic Brain Injury. 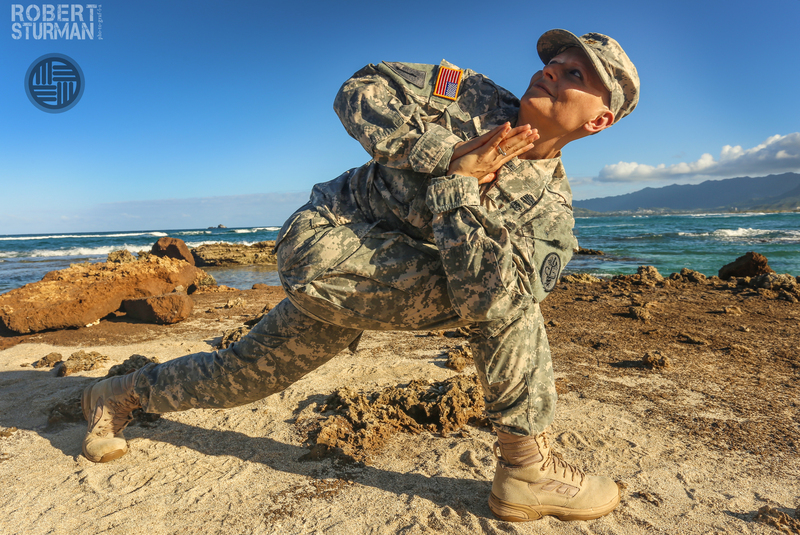 I continue to be inspired by the effectiveness of yoga and meditation, and I’m dedicated to helping integrate mind-body practices into military settings through sharing my research, supporting curriculum development at Warriors at Ease, and teaching yoga classes in the military community. World at Ease DBA Warriors at Ease is a 501(c)(3) organization. Warriors at Ease is not endorsed by Department of Defense or the Department of Veterans Affairs. This content represents the views of the individual and does not imply endorsement of any government entity.